According to the World Health Organisation’s 2010 World Malaria Report, there are more than 225 million cases of malaria each year killing 781,000 people each year, the majority affecting young children. In fact in Southeast Asia, South America and particularly Sub-Saharan Africa, an estimated 90% of pediatric deaths are caused by the mosquito-borne disease. Lifelens is a promising new smartphone application that lets a user snap a photo of a blood sample to determine if it’s affected with malaria. The application runs on Windows Phone 7 software, uses its high resolution imaging sensor and requires a micro ball lens attachment. With an accurate diagnostic tool such as this, billions of dollars worth of medication can be saved. GOOD singled Lifelens out earlier this spring as one of the 5 best projects from the Imagine Cup Competition. The team took 3rd place. Lifelens team members Wilson To, Cy Khormaee, Tristan Gibeau and Jason Wakizaka are foremost looking to raise awareness of their project at the moment. At this time, funding has not been an issue due to generous donations from organizations like Microsoft, which have donated hardware, expertise and cash in the form of prize winnings. We caught up with Harvard Business School’s Cy Khormaee for more on the project. CBM: Could you tell me all about yourself, your co-founders, where LifeLens started? Cy Khormaee: LifeLens is really the brainchild of our scientist – Wilson To, a Phd Student at UC Davis. He got really interested in using lens technology to diagnose various ailments. Then he got together with the rest of the team to build a real product and a real business around his original idea. CBM: How does the technology work? CK: Take a blood smear stained with a special chemical that turns the malaria parasite purple. Run an automated computer vision analysis which is able to find any parasites present in the blood and determine the density (and progression) of the infection. CBM: Who has this technology in their hands now? CK: Right now it’s all in the lab – we’re looking to deploy in the next few months. CBM: How do you envision the future of LifeLens? CK: The next step is to really bring this basic scientific innovation out into the field as a product to see if it works as a healthcare innovation. This is a huge step and transition from lab based activities to the rigors of the field. However, in the future, this basic idea of automated diagnostics using a cell phone is really exciting. 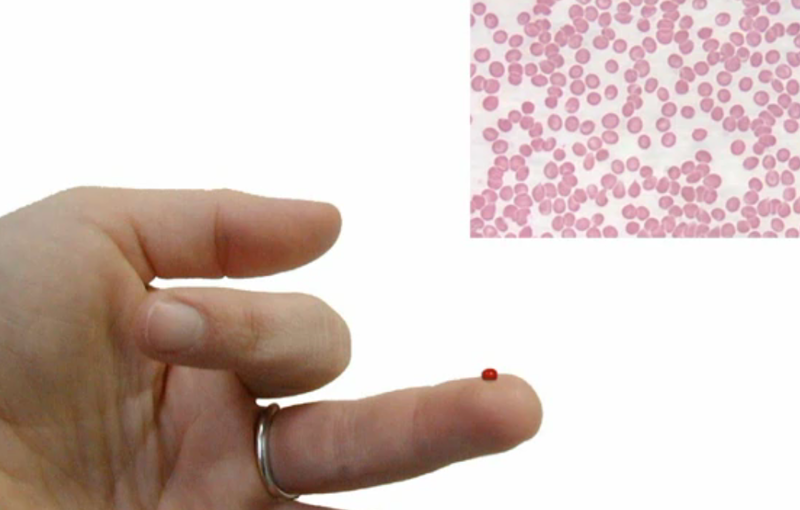 We have already expanded this technology to capture anemia (an ailment common to the first world) and have great aspirations to apply this technology to convenience diagnostics in the US. Imagine a blood test in a drugstore that cost $1? How many illnesses could be prevented by monthly (rather than annual) blood panels? CBM: Indeed. Could you tell me a bit about your current funding and how you’re planning to make money off the app? CK: There is about $1 billion spent on treating Malaria today. A great deal of that is wasted due to misdiagnosis and cost of treatment. We believe Lifelens has the potential to reduce the total cost of care by up to $2.50* – using a small portion of the cost savings to fund the venture we aim to continue as a social enterprise – sustaining our own operation by moving the mission of cheap available Malaria diagnostics forward. CBM: What exactly is your relationship with Microsoft? CK: The team’s focus this year was to compete in the Microsoft Imagine Cup – a worldwide science fair type competition for technologies designed to address the UN millennium goals. Subsequently, we chose to develop for the Windows Phone 7 Device. Microsoft has been incredibly supportive by providing access to their mobile technology as well as an amazing amount of press exposure. CBM: Are there similar apps out there? If so, what’s your unique angle and how is it better? CK: There are many apps which use cell phones to take pictures and transmit to a physician for diagnosis. Our device does the diagnostics onboard the cell phone. This is (as far as we know) unique. With over a billion people at risk for malaria each year the volume of test far exceeds human capacity.